Tech N9ne Clarifies He Is Alive After Fellow Rapper Tech 9's Death Sparks Confusion - Integration Through Media ....! The death of Tech 9, aka Akeem Mickens, caused much sadness for those who knew him and also much confusion after some music fans confused him for fellow rapper Tech N9ne this week. On Monday, many mistakenly mourned the Strange Music founder, whose real name is Aaron Dontez Yates, before he spoke out on social media to squash the rumors circulating about his death and express his condolences to the family of the Philadelphia battle rapper with a similar stage name who had passed away over the weekend. 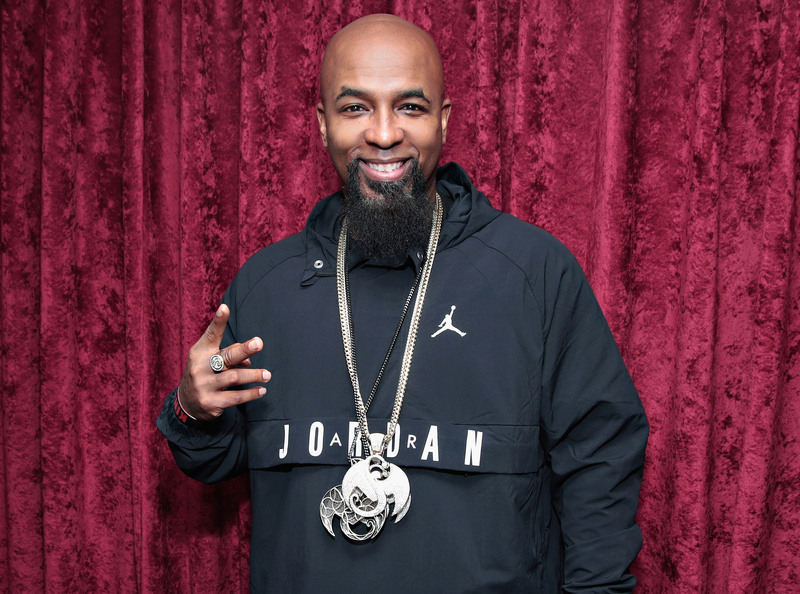 “This Tech N9ne is going through customs back in the U.S., coming from Canada, coming from Europe,” the rapper continued while standing in the customs line at the airport. “My family is calling my phone wondering if I’m OK. I’m OK. My condolences go out to the battle rapper, Tech 9. Philly, stand up,” he concluded the video. On Sunday, rapper Buttah From Da Block announced Tech 9’s death on social media. “Aw man it hurts me to be saying this right now and After speaking to your dad this is even harder to process …. PHILADELPHIA AND THE BATTLE RAP CULTURE ALL TOOK A LOSS WITH THIS ONE. HE WAS A LEGEND AND A PIONEER, GENTLEMAN, GREAT FATHER ENTREPRENEUR, ENTHUSIAST AND PHILANTHROPIST. “With Deep Hurt And sorrow i say we will miss u and love u bro… Tell Spittage We gon hold it down bro. S.P.I.T.T.A.G.E YALL MVFKAS BETTER GET IT RIGHT WAYNE A.V. … REST IN PEACE TO MY BROTHER #TECH9 @therealtech9,” he wrote in the post. Hip-hop superstars like Kendrick Lamar, Lupe Fiasco, Lloyd Banks, and many more remembered the late rapper on Twitter. “THEY SAY MY FACE DONT LOOK THE SAME WITH THE STOCK- Condolences to the family of the late great Tech9 of philly. Rest well,” Lamar tweeted.